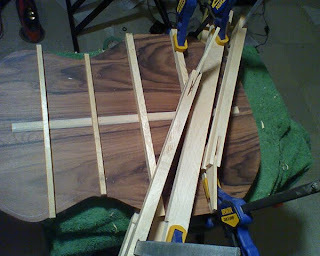 Carving up the X braces. 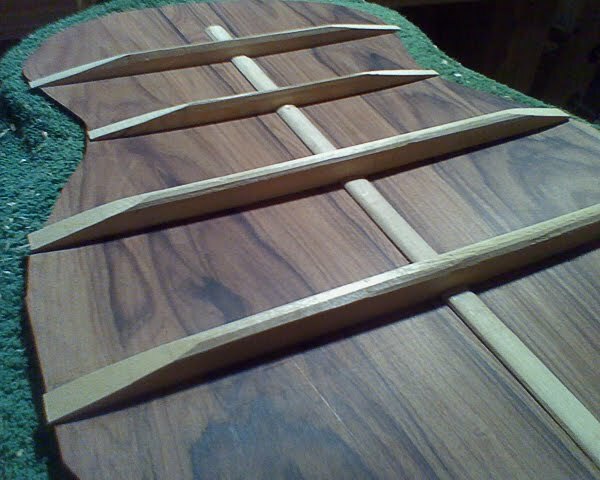 Still need to sand these down a bit but pretty much completed the soundboard. 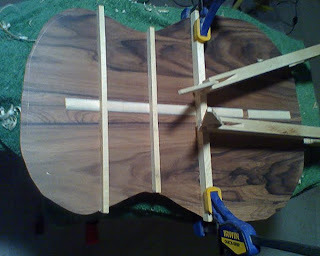 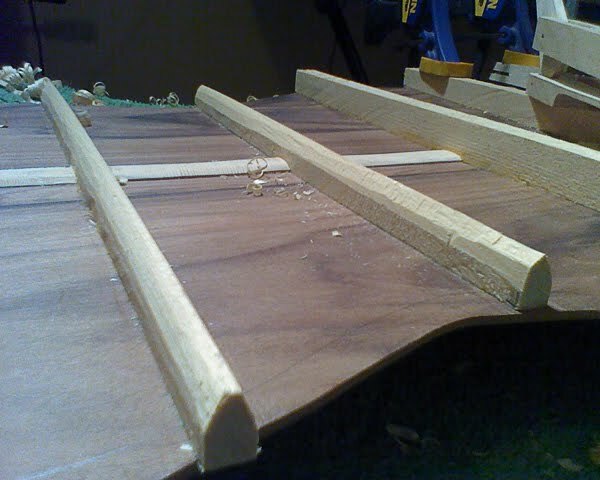 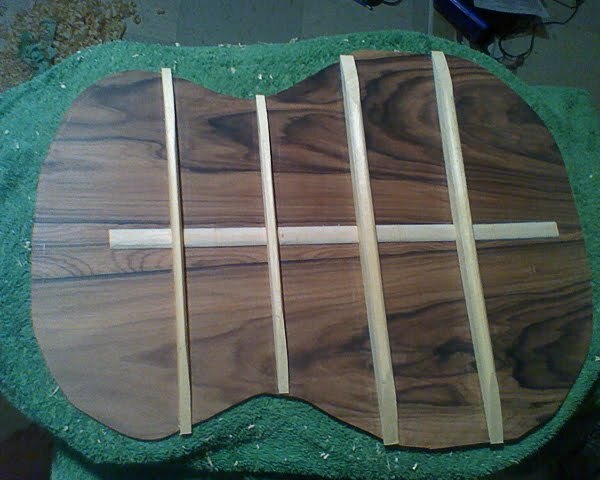 Gluing up the back braces. Rounding the back braces while the glue drys. 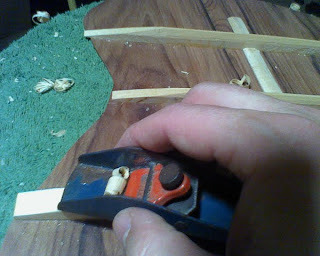 Much of the carving was done with this little plane that Creig loaned me. I may forget to give this plane back to him – it's very useful for this type of work. 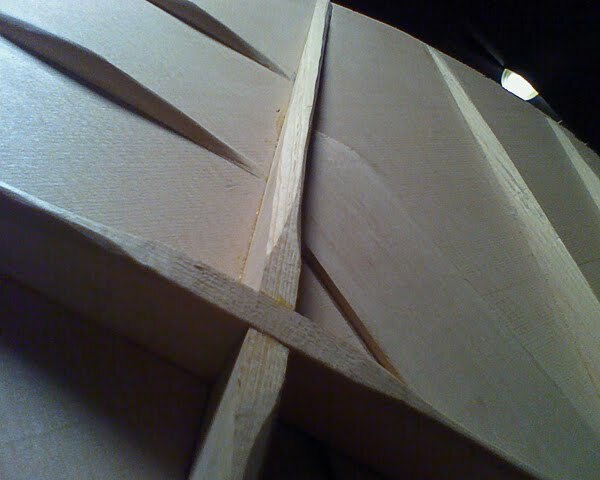 All carved but not sanded. 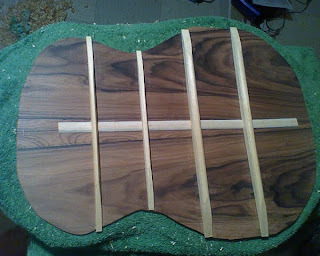 A lot of sanding tonight then, maybe bending the sides.